Looking for something fun and relaxing to do while the relatives are still in town? 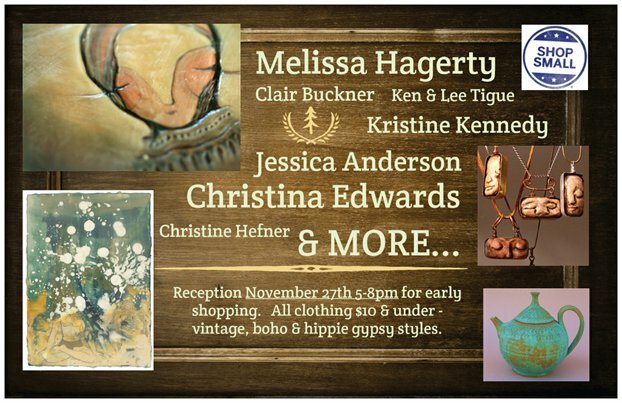 Come on out Friday evening for free wine and hors d'oeuvres, and browse work by some of the most amazing local artists. 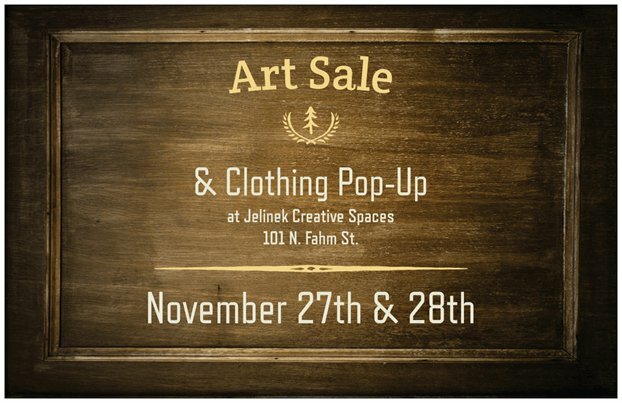 There will be lots of small works which make perfect gifts as well as some really awesome upcycled clothing. On Saturday you can enjoy hot chocolate, caroling, live music, beer, food, and shopping from over 30 vendors! Shop small, shop local, shop handmade this holiday season.